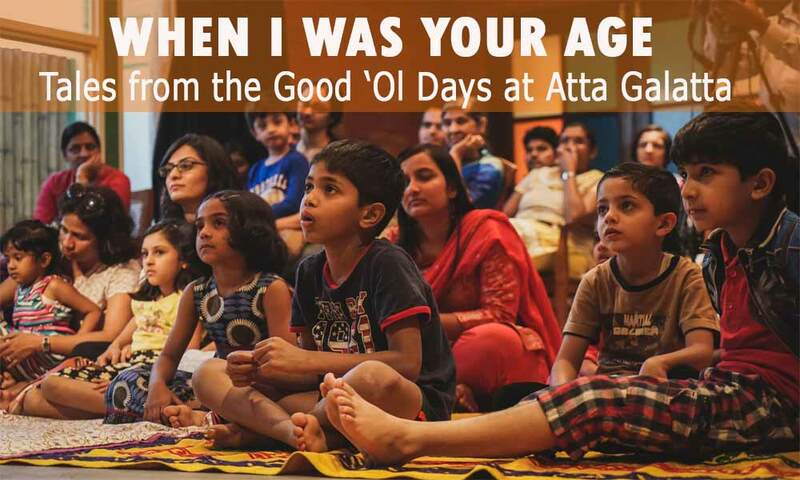 The storytelling event "When I Was Your Age" will be conducted on 10th November in Atta Galatta, Bangalore. Children's day is around the corner. Remembering Nehru and his love of children, Silver Talkies along with Tale’scope is putting together an interactive storytelling session by seniors about their childhood, shared with children of today. This event will live on 10th November in Atta Galatta, Bangalore. Today’s childhoods are very different from the way our older generation spent theirs. Our four seniors will share priceless stories of games they played; recount tales of their lasting friendships; tell us anecdotes from their school lives and the experiences they lived through. When I Was Your Age…… Is what all of us have heard from our parents and grandparents! So, here’s to bringing together two generations and giving elders an opportunity to share their best memories with the children in our city. Here’s to sharing stories of times gone by across ages!